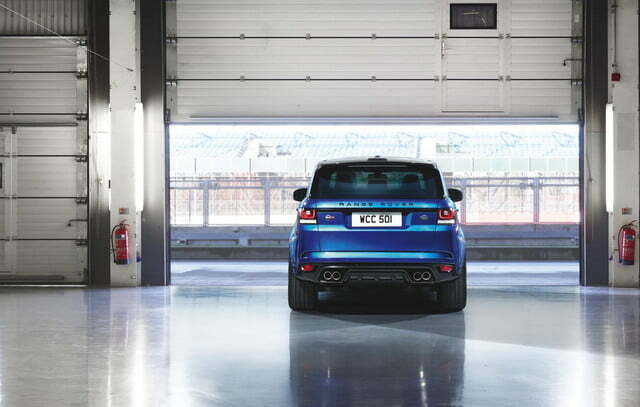 After plenty of teasing, the 2015 Land Rover Range Rover Sport SVR has finally arrived. 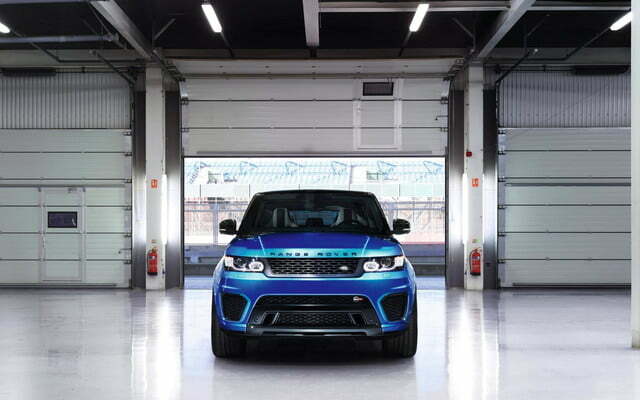 The first volume-production model from Jaguar Land Rover’s Special Vehicle Operations skunkworks, it’s the fastest, most powerful Land Rover ever. 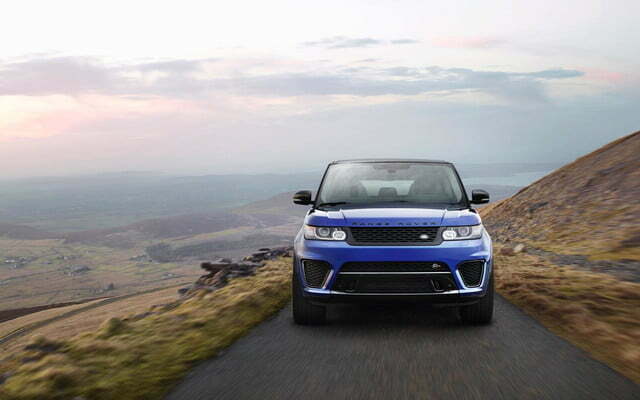 Previous Range Rover Sports were sporty, but the SVR is downright monstrous. 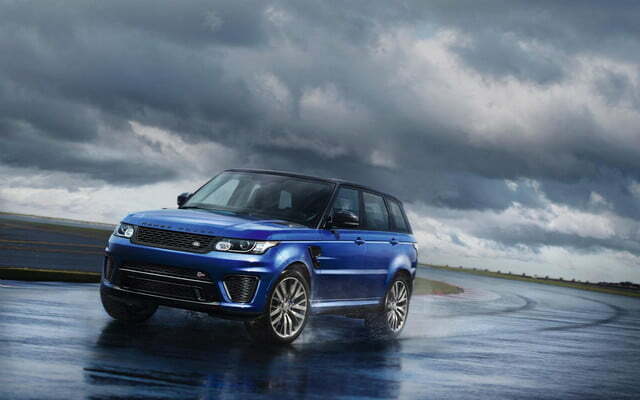 As expected, it packs a 5.0-liter supercharged V8, which produces 550 horsepower and 502 pound-feet of torque. 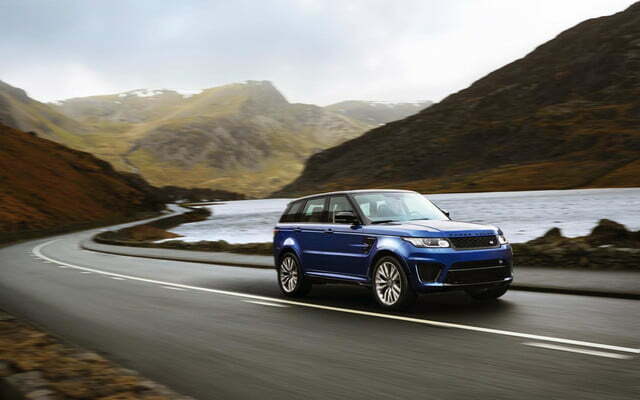 It’s coupled to an eight-speed automatic and, naturally, a very sophisticated four-wheel drive system. 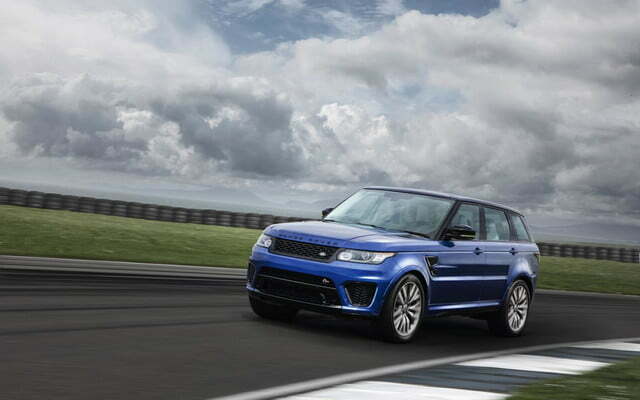 That combination will get the SVR to 60 mph from a standstill in just 4.5 seconds, and to a top speed of 162 mph. 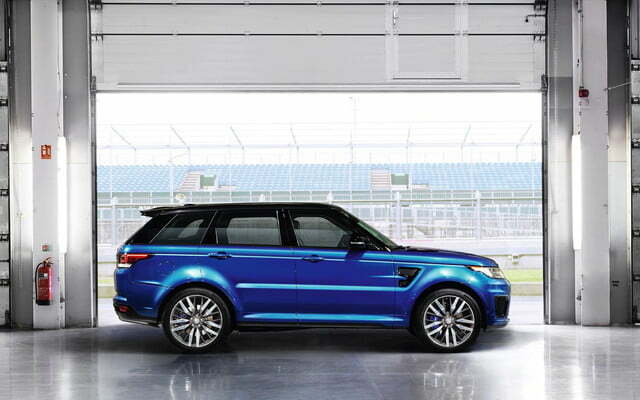 It was also able to push this massive SUV around the Nurburgring Nordschliefe in 8 minutes, 14 seconds. 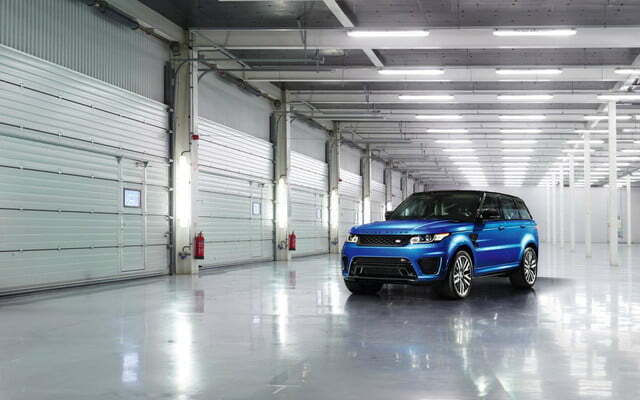 However, the performance isn’t one-dimensional. 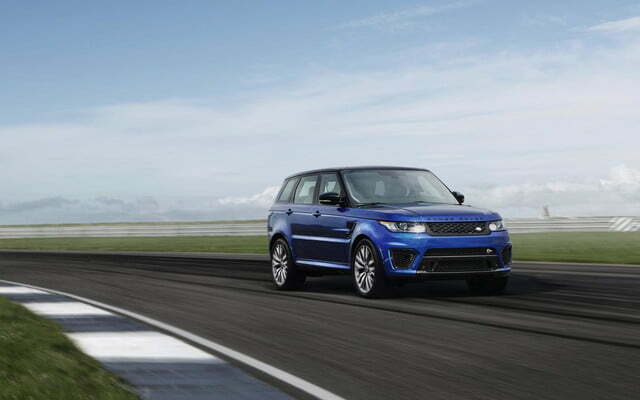 To perform the physics-defying task of making an SUV handle like a sports car, Land Rover equipped the SVR with a fully-independent air suspension system and active magnetorheological dampers. 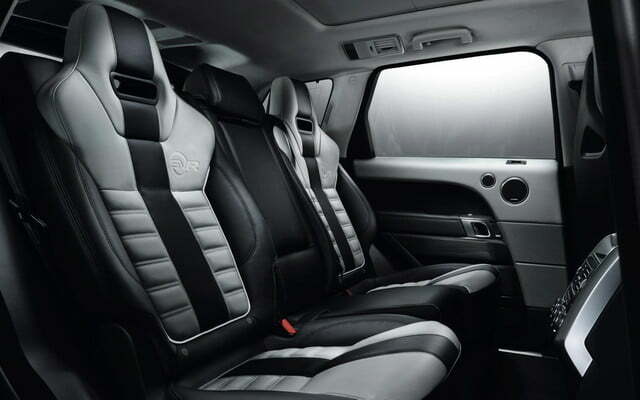 The system’s Adaptive Dynamics software monitors movements up to 500 times a second and adjusts damper firmness accordingly. 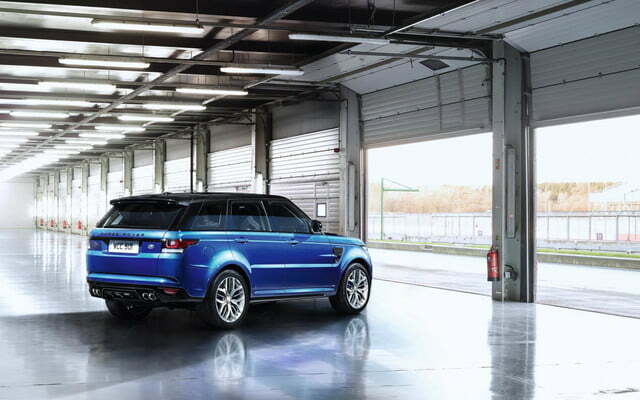 Engineers also retuned the stock Range Rover Sport’s electronic power steering and added an Active Roll Control feature to keep the SVR shiny-side up. 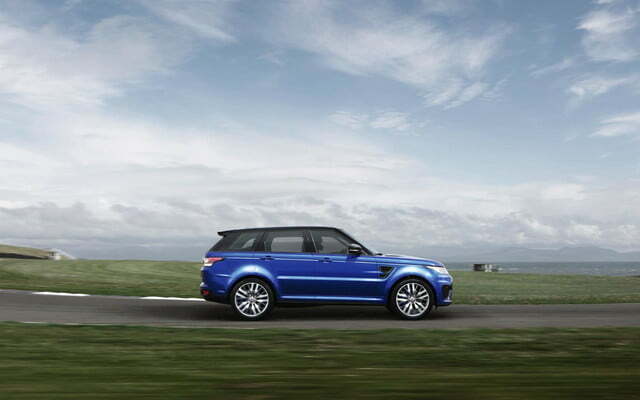 Stopping is accomplished by Brembo brakes housed in 21-inch wheels. 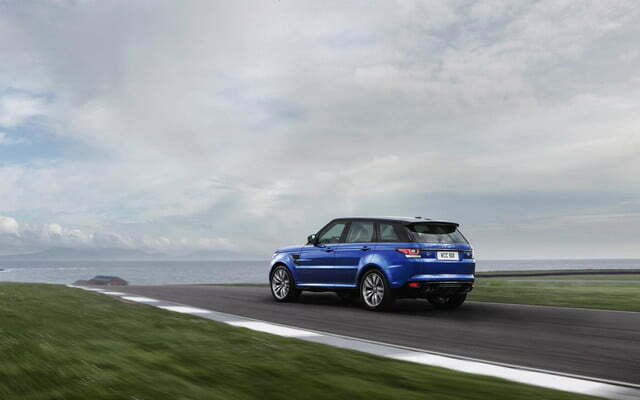 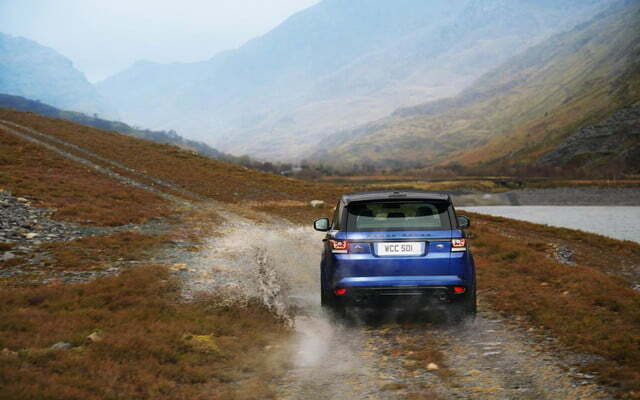 Yet despite the emphasis on track-worthy performance, the SVR still keeps its off-road ability. 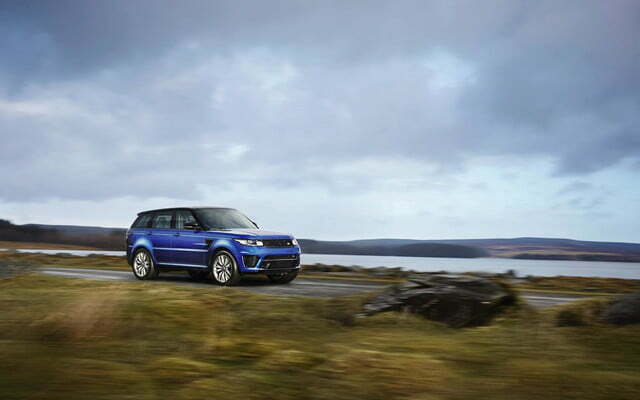 A two-speed transfer case, adjustable ride height, and Land Rover’s Terrain Response 2 system should keep drivers from getting stuck. 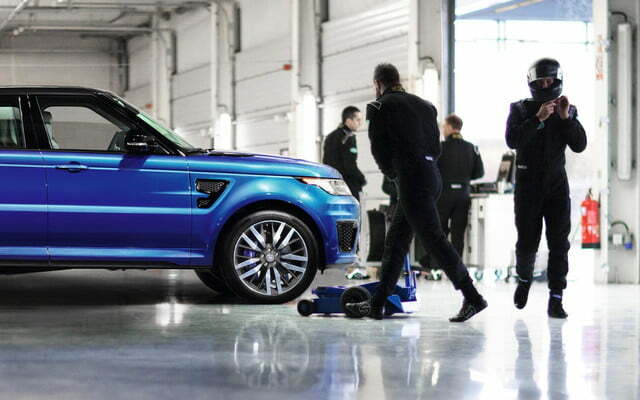 Not that anyone would want to get mud on that Estoril Blue paint. 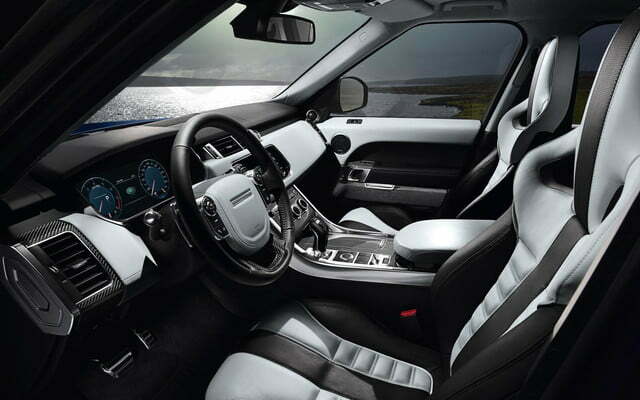 It’s the most outstanding visual feature on what is, considering its abilities, a rather subtle vehicle. 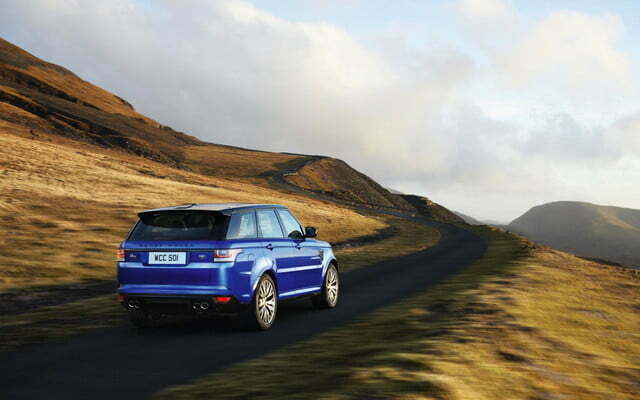 Other changes include new front and rear fascias, quad exhausts, and larger side gills. 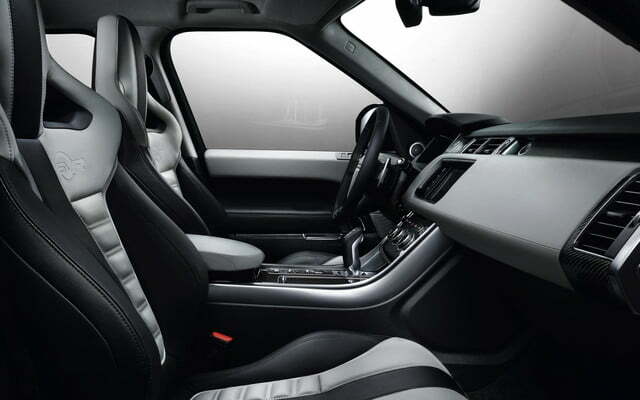 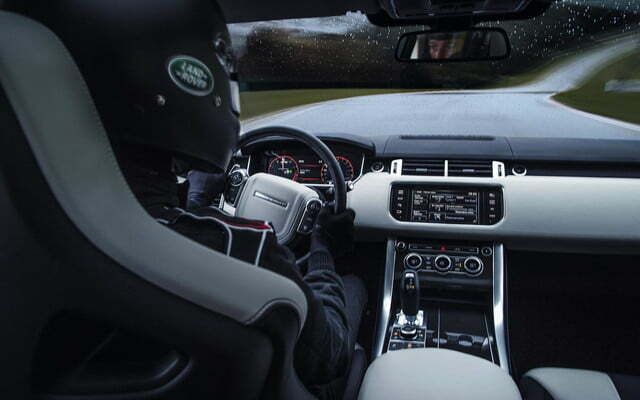 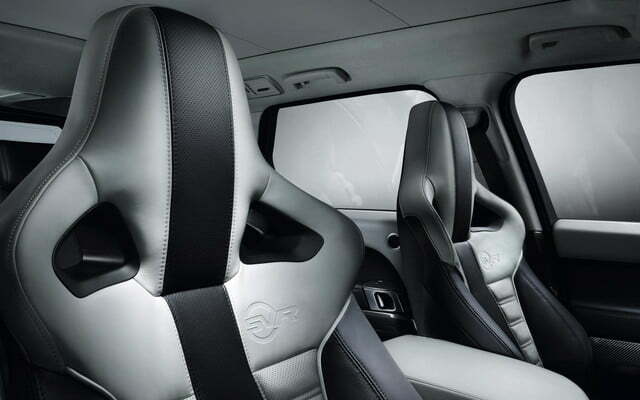 The interior gets heavily-bolstered sport seats but, because this is a Range Rover, they’re covered in Oxford leather. 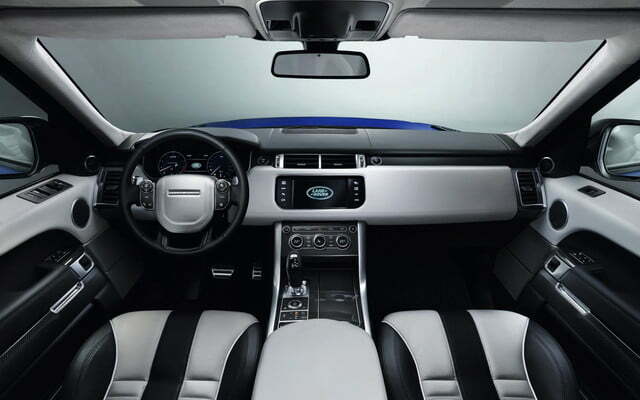 Aluminum trim (carbon fiber is optional) further differentiates the cabin from that of lesser Range Rover Sports, which have pretty nice interiors to begin with. 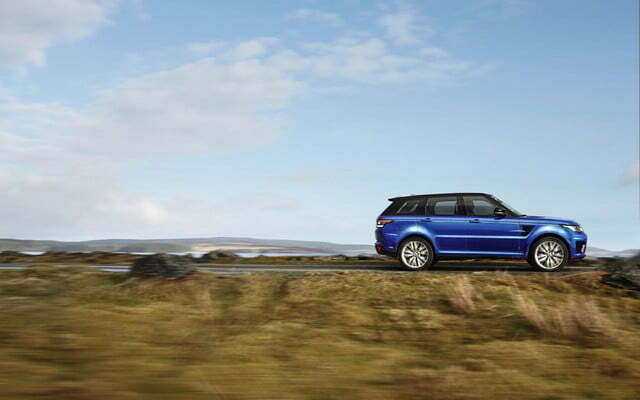 So if you a vehicle that can evade the cops whether you’re in downtown Monaco or somewhere in Montana, write out a check for $111,400 (including destination). 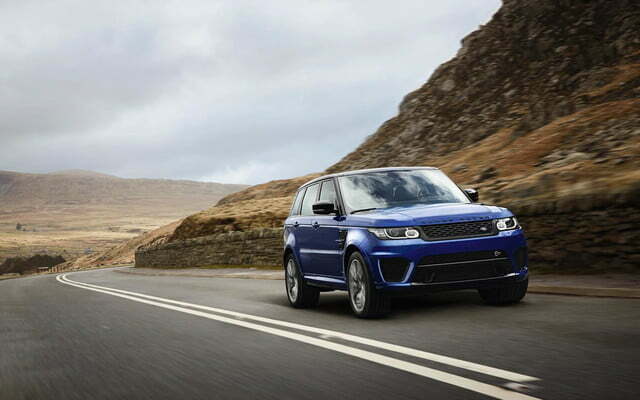 The 2015 Land Rover Range Rover Sport will make its formal debut at the 2014 Pebble Beach Concours d’Elegance later this week, and is expected to go on sale this fall.